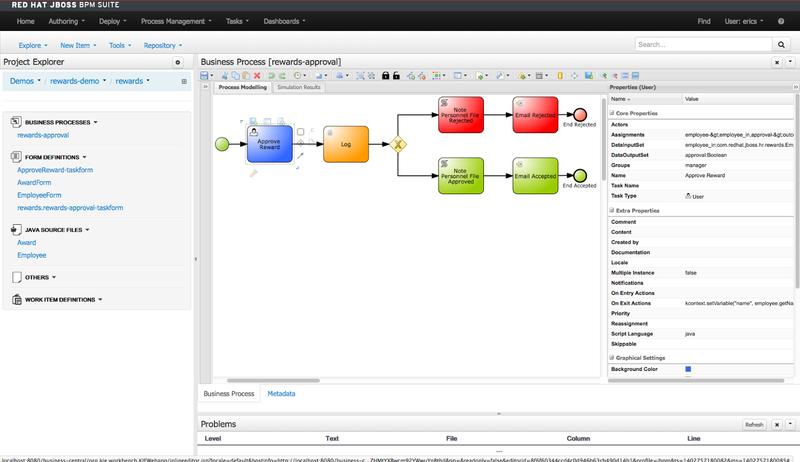 Looking for an easy way to promote, present or demonstrate how easy it is to get started with JBoss Business Process Management Suite (BPM Suite) product? 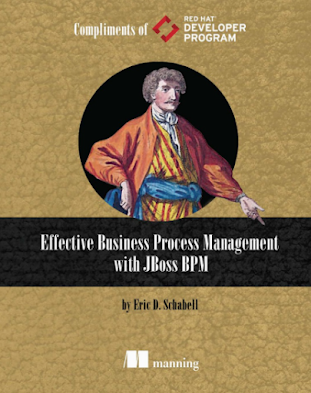 Look no further as we have pulled together this workshop so that you can construct an evening, half day or full day session of learning around JBoss BPM Suite. 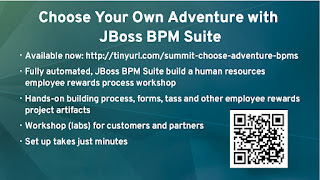 The workshop outlines how to build a human resources employee rewards BPM project that uses all the tooling JBoss BPM Suite offers. 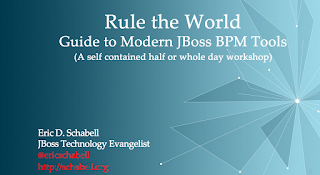 You only need to be able to read a PDF to get started, have a browser to view html based workshop slides that lead you through the building phases, Java 7 or 8, Maven 3.2 or higher and the products JBoss BPM Suite and JBoss EAP. 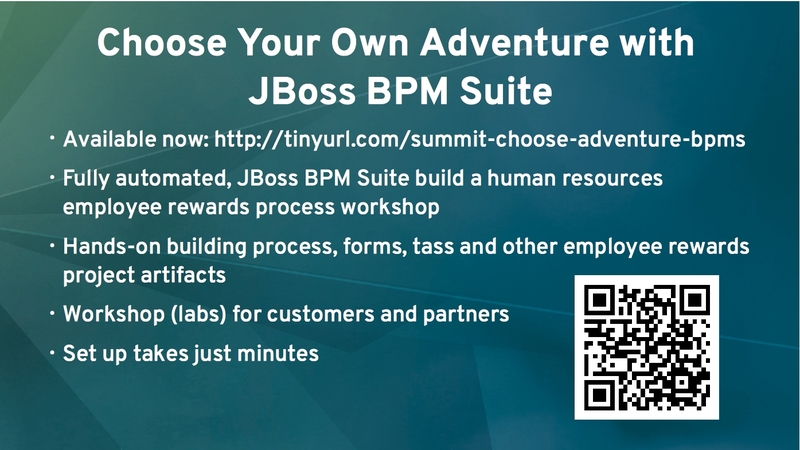 This should give you a workshop hosted under a directory summit-choose-own-adventure-bpms-master. 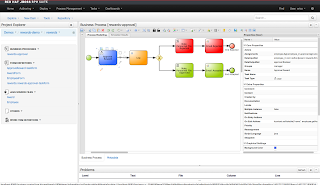 The first step is to introduce the topics around rules, events and processes, which is available both in the workshop and as an online hosted presentation. 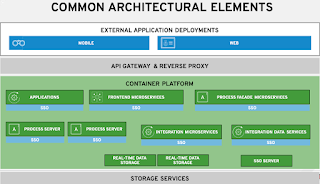 This will have them run the project installation and point them to the initial workshop slides where they start building forms, domain model, processes and other artifacts. 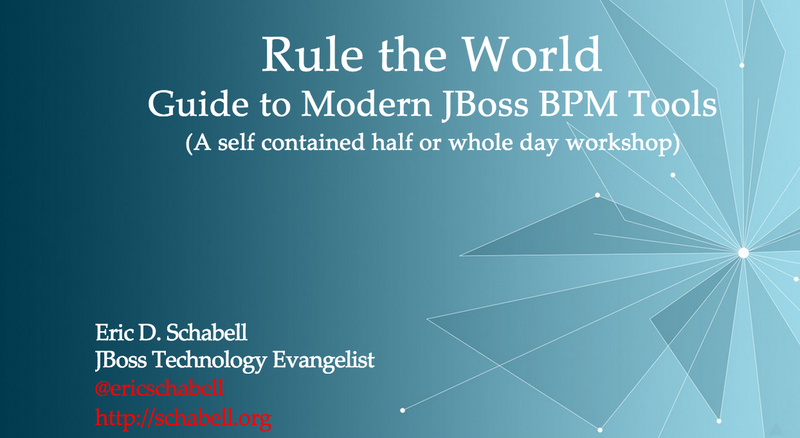 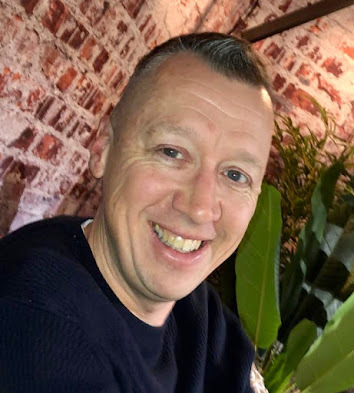 We hope you can think of this as your go to JBoss BPM Suite workshop in a can, where you will be able to amaze friends, colleagues and family with your ability to lead them through building a JBoss BPM project.